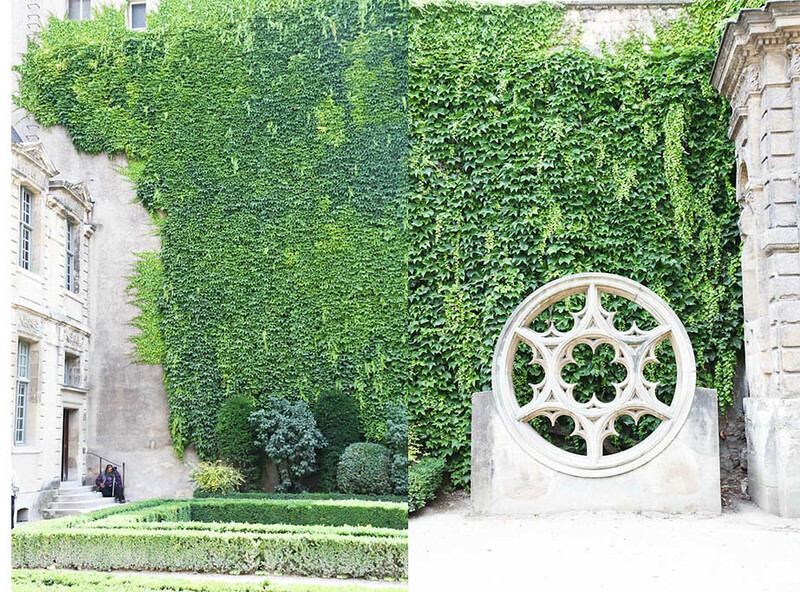 I took these photos a long while ago when the trees were in full bloom and the ivy growing on the wall was enough to make you take a second glance. 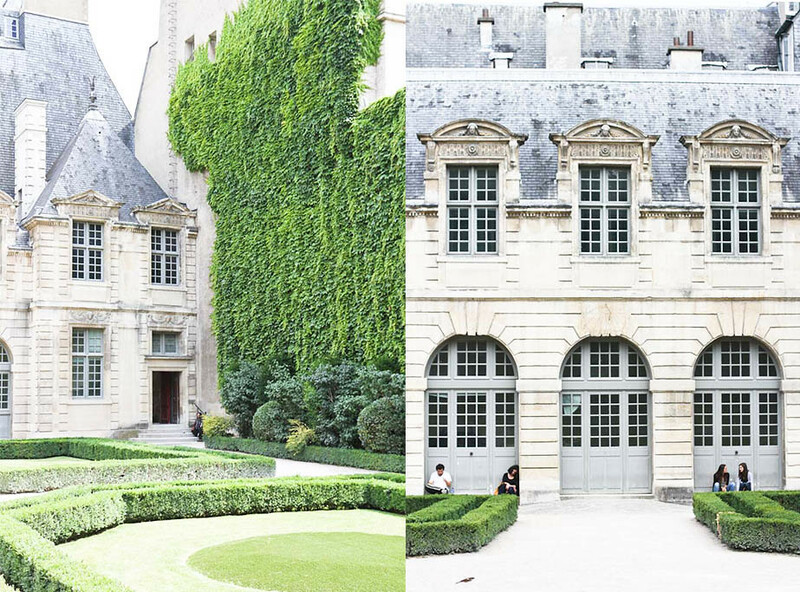 It was the first time that my friend and I had discovered Hôtel de Sully and we were both completely shocked that we hadn’t heard even a whisper of this place prior to visiting. 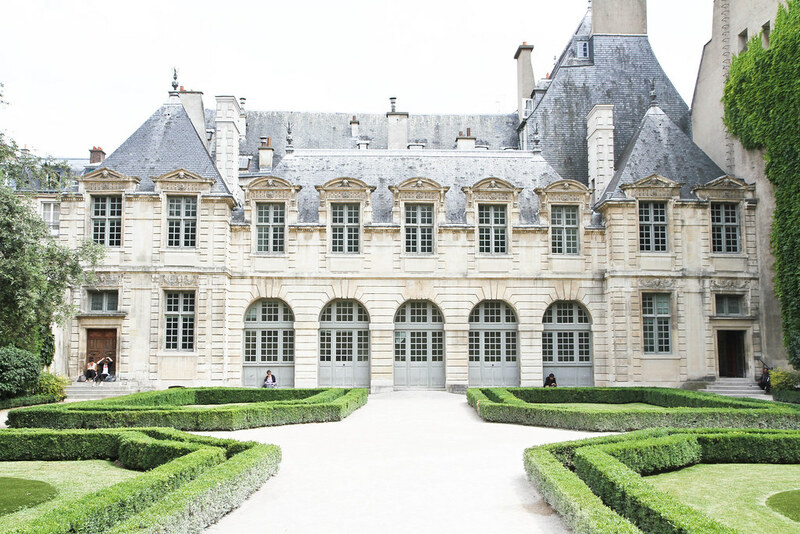 We were even more surprised when we walked through the courtyard and found this incredible private mansion which more so resembles a miniature castle if you ask me. Across the other side lies a secret door not necessarily hidden from the eye but not sign-posted as a public path. Unsure of whether we were able to pass through we tentatively approached until the people appearing on the our side confirmed it as an access way. 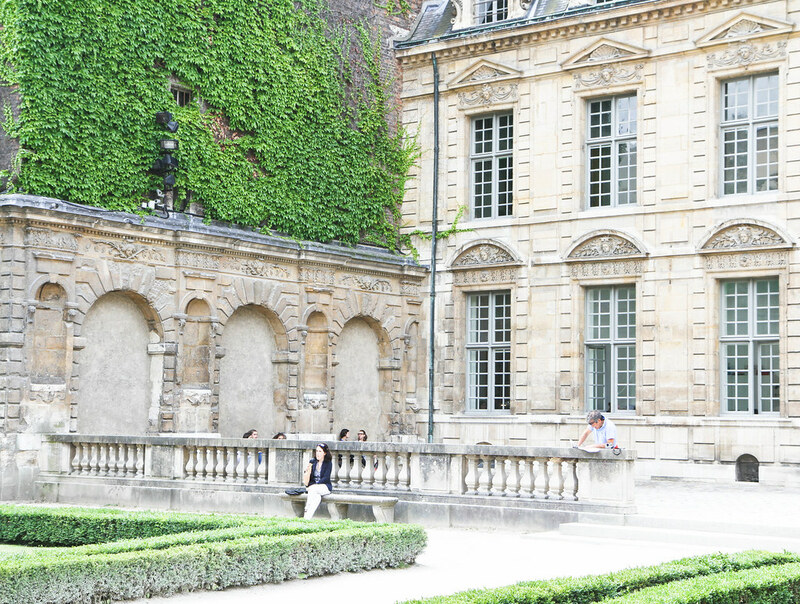 What it leads to is the renowned Place des Vosges with its beautiful red brick apartments and antique lampposts, passing through the door and under the arches it’ll feel as though you’ve been let in on Paris’ biggest secret. What an incredible place! how did you find it? It was actually thanks to this little map which I bought at the Bon Marche and became obsessed with there onwards trying to hunt down all of the secret places this map had to share! It looks so pretty and you’re so lucky to be there. Oh I know but France is like the setting for a fairy-tale! Wow I can’t believe this is right in the centre of Paris! I was too! 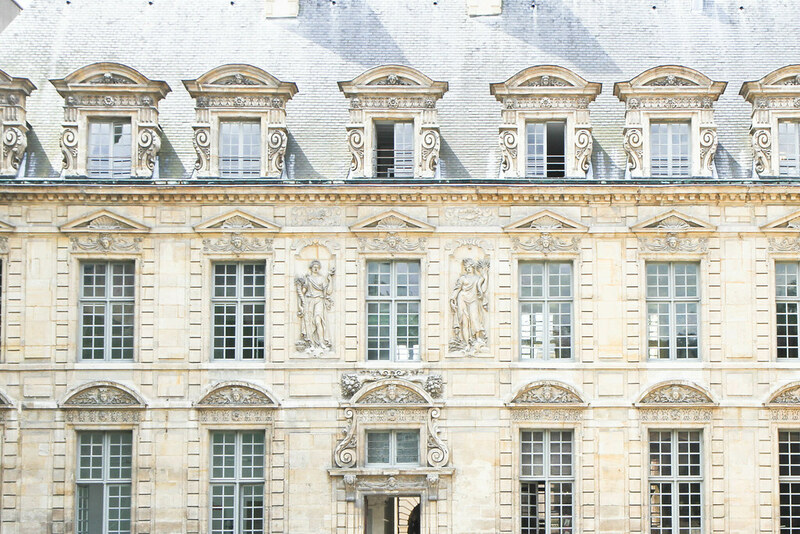 Right in the centre of the Marais! Beautiful. 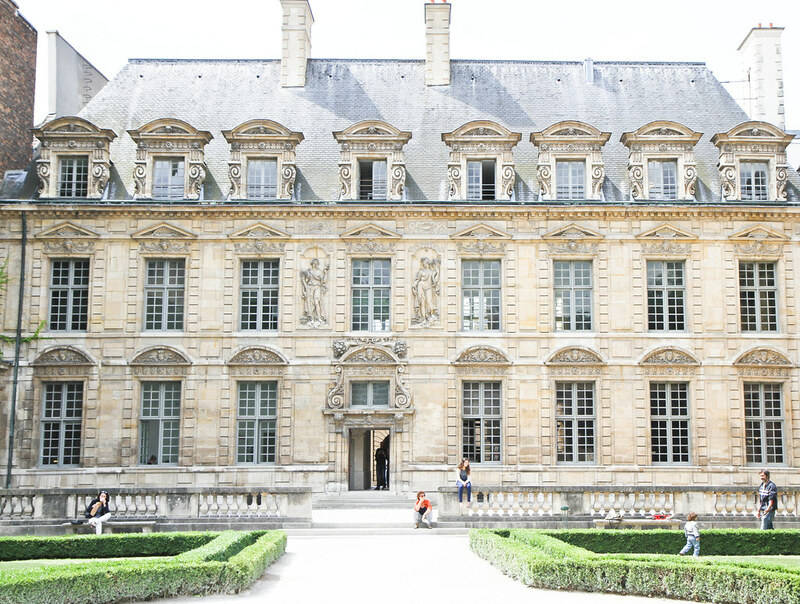 I absolutely loved the courtyard inside the Hotel de Sully! 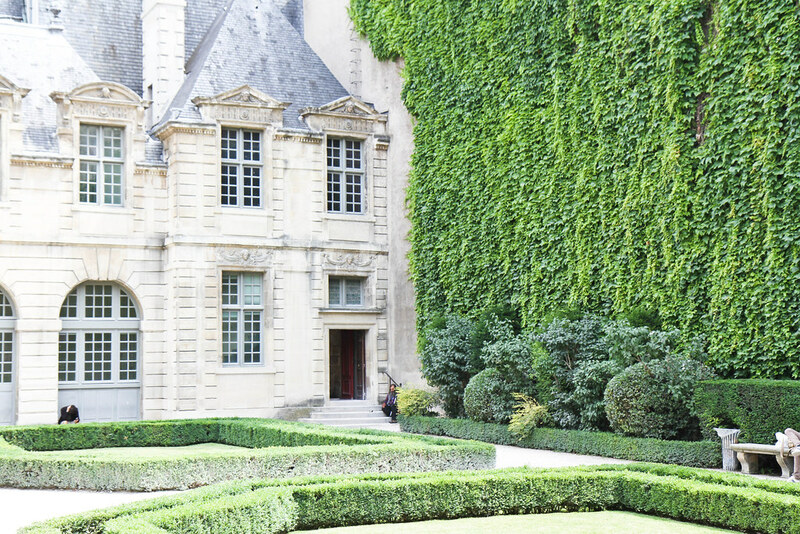 It was so peaceful and quiet..
Those Ivy covered walls are pretty spectacular!! !